Denna produkt ger dig 76 bonuspoäng. Fire brigade - LF 16 (Magirus), 1968. Chassis black, driver's cab and superstructure in fire brigade red. Roller shutters painted silver. Ladders silver. 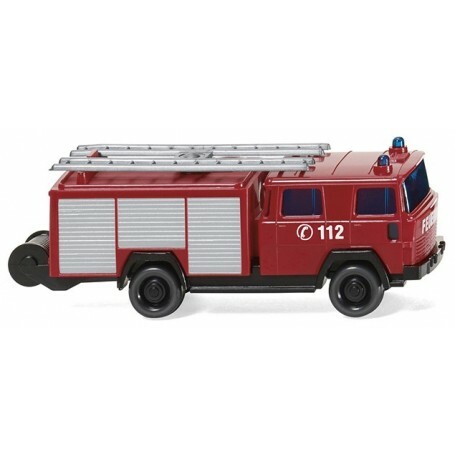 Fire brigade emergency number 112 on side in white, front lettering 'Feuerwehr' also in white, headlights painted silver.